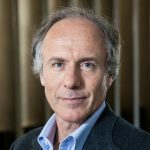 Since commencing as Chief Scientist, Dr Finkel has led the Review into the National Electricity Market (“Finkel Review”) and the 2016 National Research Infrastructure Roadmap. 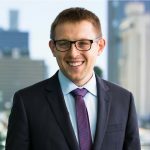 He currently leads the STEM Industry Partnership Forum for the COAG Education Council and serves as the Deputy Chair of Innovation and Science Australia. Dr Finkel has an extensive science background as an entrepreneur, engineer, neuroscientist and educator. He was awarded his PhD in electrical engineering from Monash University and worked as a postdoctoral research fellow in neuroscience at the Australian National University. What awaits our students in the workplaces of 2030? Models and opinions abound, but physicist Niel Bohr’s aphorism remains all too true: prediction is very difficult, especially if it’s about the future. So should we position our students to be generalists, with a focus on soft skills? Double-down on disciplinary content knowledge and skills instead? Or prepare a generation for a world where humans are no longer required to work? Australia’s Chief Scientist Dr Finkel reaffirms the centrality of STEM education to the human future we want to create, with a plea for the strengths of the disciplines to be retained. Professor Marek Kowalkiewicz is an academic and industry leader with extensive experience in conducting academically sound research, co-innovating with industry and university partners, and delivering innovative products to the market. Currently, as Professor and PwC Chair in Digital Economy, as well as Leader of the Embracing Digital Age research theme, he leads Queensland University of Technology’s research agenda to inform and influence a robust digital economy in Australia and the region. He joined QUT from Silicon Valley, where he led innovation teams of one of the largest enterprise software vendors in the world. Before Silicon Valley, Marek worked in Singapore, Australia and China. Marek manages a contemporary research portfolio and converts industry driven opportunities into research outcomes of global relevance. He is an invited government expert, university lecturer and project lead, as well as an inventor and author. The digital economy provides organisations and leaders with the opportunity to reimagine how they do business, innovate customer-centric solutions to complex problems, and to create new value. It also requires us to reimagine the future lives of students in the Digital Age. This interactive, high-energy presentation delivered by Prof Marek Kowalkiewicz, one of Australia’s leading digital transformation experts from QUT will introduce you to the innovation lenses that propagate an opportunity mindset. Gain an understanding of the thinking patterns and practical skills required to proactively identify and capitalise opportunities in the changing industry, create a culture and start a language of innovation in your organisation, and learn how to stimulate creativity to ideate and prototype new ideas. In his keynote, Marek will also talk about skills needed to thrive in the digital future. Not only what they might be, but more importantly: how to stay future ready and maintain a set of relevant skills. Fred Watson is the former Astronomer-in-Charge of the Australian Astronomical Observatory. He is now Astronomer-at-Large in the Commonwealth Department of Industry, Innovation and Science, and holds adjunct professorial positions at six Australian universities. 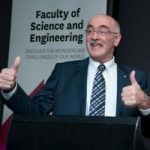 Fred is best known for his radio and TV broadcasts, talks, and other outreach programs, which earned him the 2006 Australian Government Eureka Prize for Promoting Understanding of Science. He has also written a number of award-winning books, and was made a Member of the Order of Australia in 2010. Fred has an asteroid named after him (5691 Fredwatson), but says that if it hits Earth, it won’t be his fault. We know from repeated surveys that few topics inspire students more than astronomy and space science. These subjects embrace all aspects of STEM, from heavy engineering to relativistic modelling. Yet most teachers at high-school level address them with trepidation, perhaps because they feel they lack the required specialist knowledge. In reality, the basics of astronomy and space science are more easily understood than those of almost any other STEM-dependent subject. This talk will make the case for an enhanced cosmic component in integrated STEM education for the real world. Lyn English is Professor of STEM in Education at the Faculty of Education, QUT. Her areas of research include mathematics education, engineering education, integrated STEM learning, mathematical modelling, problem solving and posing, statistics education, and mathematical reasoning and development. 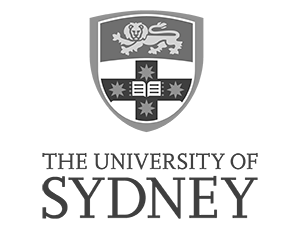 Professor English’s research has been supported for over two decades by many grants from the Australian Research Council. 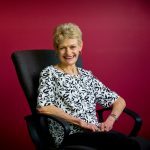 She was awarded the Mathematics Education Research Group of Australasia Career Research Medal, 2012, and the Vice Chancellor’s Award for Excellence in Research in 2015. She is a Senior Research Scientist (Adjunct) of the Kaput Center for Research and Innovation in STEM Education at the University of Massachusetts Dartmouth. Professor English is a Fellow of The Academy of the Social Sciences in Australia, and is founding editor (1997) of the international journal, Mathematical Thinking and Learning (Taylor & Francis). Disruption is rapidly becoming the norm in almost all spheres of life including business, industry, politics, culture, and the media. These upheavals stimulate disruptive thinking, where perspectives on commonly accepted (and often inefficient) solutions to problems are rejected for more innovative approaches and products. STEM education, in particular STEM integration, provides an ideal vehicle for developing the foundations of disruptive thinking, where learning innovation is fostered. For this presentation, learning innovation entails the processes of generating new knowledge and ideas that can be applied to solving a novel problem. Such learning is proposed as central to dealing effectively with disruption and requires the development of both discipline content knowledge and the adaptation and application of this knowledge to the solution of new problems. In illustrating ways in which learning innovation might be achieved in STEM integration, I draw on examples of modelling with design. Felicity has been curious her whole life about how things worked and passionate about creating things for people, so becoming a Civil Engineer and social entrepreneur was almost logical. After realising the lack of diversity in engineering, which is largely due to the misperceptions of the industry, Felicity co-founded not-for-profit Power of Engineering. The organisation has now reached over 8,000 students across Australia through one day events and partnerships with industry and universities. 75% of students who were a ‘no’ to engineering before the day change their mind to a ‘yes’ after the event. Wanting to make a bigger, longer term impact, Felicity co-founded social enterprise Machinam which engages and motivates students in maths. Machinam’s digital maths resource, In Real Life for year 9 and 10, connects what students are learning in maths class to the real world and authentically how they would use maths. This work, along with her professional career, saw Felicity named as one of the Financial Review BOSS Magazine’s Young Executives of the Year in 2016 and named as one of Australia’s ‘100 Women of Influence’ at just 26 years old. 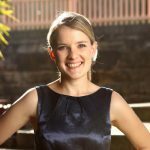 Felicity’s ten year corporate career includes working as a Senior Project Manager at innovative engineering consultancy Arup, Management Consultant at fortune 500 company AECOM and delivering a $45 million dollar transport infrastructure project portfolio for local communities with Brisbane City Council. How do we create, plan and invent a future that doesn’t exist yet? How will we solve the challenges of water or food shortages, energy crises and invent products to make our world a better place? To build the future we need all citizens to have critical and creative thinking skills. What better way to get these skills, but through STEM education, but how can we engage students in STEM?